After a mast year (when there are exceptional numbers of flowers and seeds) there will be a profusion of seedlings. These will persist on the forest floor for decades. 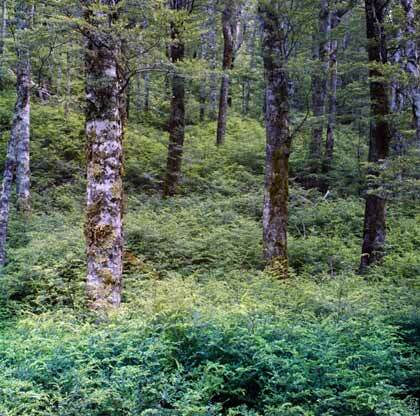 Some will grow rapidly once tree death allows in sufficient light But very few will survive to reach canopy height. Over the years seedlings and saplings compete for water, nutrients and light.